Wow... Thank you PCPP so much for the feature! I feel honored and truly appreciate it. Thank you. This little computer was fun to work on. Costs were under a hundred dollars ($67) to assemble this as a mini-desktop. It's a perfect solution for those who use a desktop computer for the very basic needs, but cannot afford much right now. Even if someone needed peripherals, a cheap monitor and a USB media card reader it keeps the costs under $200. It can also be something really fun to work on since there are many possibilities to do with a Raspberry Pi! An OS to get started with a desktop environment would be Raspbian. It offers the user to surf the internet or watching videos (Chromium), office applications (Office Libre), basic programming like Python, Java and much more. It also provides some python games and even Minecraft Pi Edition. Originally I was going to experiment this in my Spring Semester 2018, but there weren't enough classmates that were interested to work on a Raspberry Pi. So at the meantime, I'll work on this cute little computer for fun when time is available. I will test this again when I have time available. Underload is base upon playing old console video games from Nintendo, Gameboy, a couple of N64 and one Playstation game. Redundant on my end, it's very cute and fun to work on. This little guy already comes together with a CPU, GPU, RAM with a variety of ports and connections. This particular Model B motherboard comes with a built-in WiFi and Bluetooth which is pretty sweet. Only an HDMI and though the resolution of 1920x1080 is available, it doesn't work. So stick with the default screen resolution or something close to 720p. It's also great this little motherboard comes with four 2.0 USBs and an Ethernet port. So far I seen about 30° C when cold booted and around 33~41° C depending on the Python games and Minecraft Pi. The most heat I ever seen so far was playing some classic games from NES, SNES, Gameboy, Gameboy Color, N64, and Playstation: 48~54° C. (This is subjective for everyone's experiences but I believe it helps a lot to have a fan and some heatsinks plus if you keep your room cool it helps a step further). This was cheap and offers plenty of storage. I cannot complain for spending $12 here and it was truly a breeze burning the OS image with Etcher into the MicroSD, but with my 3.0 USB Media Card Reader of course! If you need to save a few extra dollars than 16GB is workable too, but I think 32GB or 64GB is best to aim for. About 23.7GB remains available after burning Raspbian into the MicroSD. Here is RetroPie for those that may be interested to know about the process. Wow, did I feel like a dumbfounded fool here the most. It took me sometime to remember and reconfigure this 9 layer case back together. Not a problem disassembling, but when I did it the other way around... oh my goodness! Third-time was the charm to get it right. I left some photos on here to give an idea of what the order is when reassembling the case with the motherboard. However, I do like the case fan because I cannot a hear thing. I set my case fan to 3.3v format, but I also have a photo to show what 5.0v is too in case others may want more air blowing into the case. And about the power supply, it's nice to have a switch that turns ON and OFF. Though sometimes my Raspberry Pi 3 doesn't fully shutdown either so I end up having to use the switch to turn it off. I prefer a full shutdown so I'll need to figure out what's going on. Regardless, it's pretty handy and a nice feature to have. I do love the appearance of this case. I would work with it again if someone else needed a basic desktop computer for under $100. I am easily entertained by what the Raspberry Pi 3 can do. The options of what you can do with them is cool I think. The monitor and peripherals do work with no issues, just make sure to change the keyboard layout, and language in general if you are from a different country. 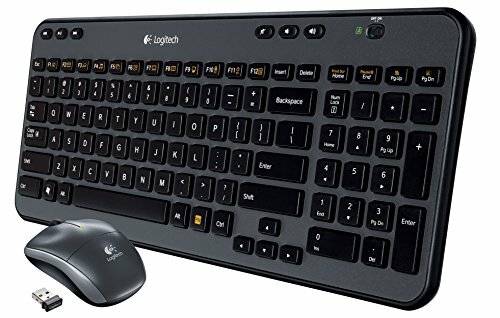 I normally talk about my additional items, peripherals or other parts, but I'll be brief here: The 10" monitor, and this Logitech keyboard and mouse were plug and play ready for a Raspberry Pi 3. Very happy they work and will yak about the monitor and peripherals in the future. My part list should have hyperlinks for these and the other items listed here. Thank you for reading my description. Please feel free to leave any comments, questions, and constructive criticism. I’ll correct any mistakes, typos, or if I've forgotten to mention something. Unexpected build shows up and puts a delighted grin on my face! Thanks for the nicely composed photos. Thank you for the kind words as I truly appreciate it. And I'm glad to know this puts a smile on someone. This is great! I know next to nothing regarding the Raspberry Pi but this has given me the inspiration to look into it further! Excellent tiny pc, so cool. Thank you for your support and that's great! I am glad this gave an interest and inspiration. Thank you so much! I'm glad to know and appreciate the support. Awesome. And despite the struggle with RetroPie, it's excactly why I want some of the classic games on it. I grew up with certain games when I was a kid and yes I still have orginal consoles like Super Nintendo, Sega Genesis, PlayStation (the 1st version) etc. Though no longer my other Nintendo (Super Mario Bros. and Duck Hunt) since was given to my childhood friend. They all still work too. Anyways, glad you liked this and great to know about RetroPie. Thank you so much! question from somebody who has a raspberry pi but doesn't know what to do with it...could it possibly run GBA games? If so, hooking it up to a decent battery bank, portable screen, and decent plastic shell could make it a fun DIY handheld game machine. It can run GBA games, the pi 3 runs everything up to about playstation 1...and the DIY handheld idea has been done really well already, you can buy pre-made or DIY kits too, raspberry pi' are extremely versatile. There’s a bunch of those builds floating around the internet. Most of them use the pi zero for maximum portability and battery life. I love the pie2. When my kids are a few years older I’m going to build an arcade box and use the pie2 with RetroPie as the engine. Can’t wait. That'll be great for the kids. You should post about it in the future as I would be thrilled to see it. On second look I realized it was an Eltech build. Looks like a fun project. Hehe, no worries. And yes, it was very fun. Awesome miniature PC, wowed when I saw the hand comparison, what is the dimensions of this beauty? 3.7 in. x 1.8 in. x 1.1 in. Thank you again for the compliment and checking the Pi out! I appreciate your support. Nice! Pi’s are very fun and full of possibilities. Awesome. I really would like to build a retro pi emulator soon, they look like they are fun to build. You should whenever you have the opportunity. And thank you for your support! No worries Radox! And thank you for your kind and supportive words as always. It means a lot coming from you! Awesome and oh my some pie does sound nice. I'm thinking Wildberry pie, though there are many other yummy pies too. Haha, and thank you so much. Raspberry Pis are pretty awesome. Thanks Gooberdad! I was surprised yesterday. First pc I ever wanted to hug! Thanks Battlestar! And thanks for the support. I always appreciate it. (You mention not a full system because it cannot handle a full OS and hardware is already built into the the motherboard which has its limitations due to the processor, RAM, GPU, etc is soldered? I know it's not Intel nor AMD hardware.) Regardless, this computer is able to do some basic tasks and it's quite fun to work on with many possibilities besides a bare bone desktop environment. 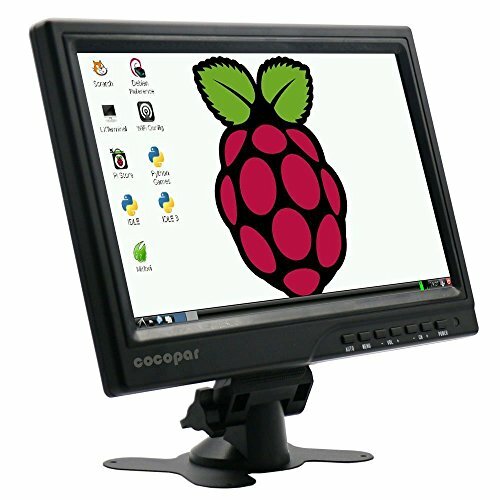 Have you tried running OpenArena on the Pi3? I've heard it's possible, but I don't have a 3 to test it on, only a Pi1 Model B. I could see a fun little OpenArena/Quake3 LAN party on these puppies. Shoot, that sounds like a great idea! I actually got Nexuiz to run on my dinky little Chromebook with little effort, maybe it'll run on one of these guys. Sorry for a late response. I was pretty busy plus had to sleep. I have not tried OpenArena. It's a free open source FPS game Quake3 Arena, correct? I will let you know and see how it goes. Is there a preference? Singe-player and Multiplayer? Or does it not matter as long you know it runs? And I'll make sure to see how the temps are too. I have not tried OpenArena. It's a free open source FPS game Quake3 Arena, correct? It is indeed an open source clone of Quake 3 Arena. It's really fun, you may get hooked on it if you try it! Thanks! Be warned though, you may like it! Is there a preference? Singe-player and Multiplayer? Or does it not matter as long you know it runs? It doesn't matter to me, I've always just wanted to know if it really would run! Great, I will let you know very soon. Hopefully sometime soon this week when I have a spare evening to try it out. It'll be cool to find out. It'll be cool to find out. I've been looking for a case that has a fan and this looks perfect! I've got the Raspberry Pi 2. I was thinking about putting my Pi to work as some sort of server or maybe just overclocking my Pi and seeing how far it'll go. 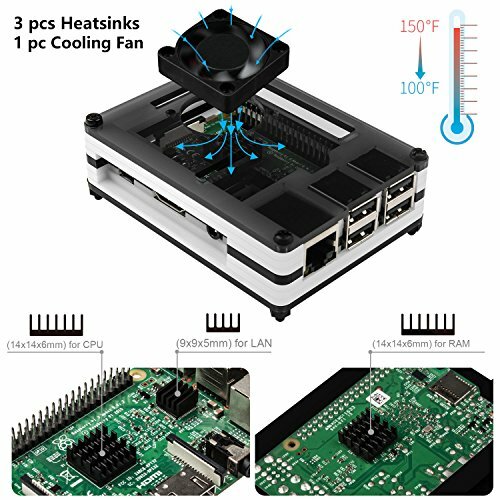 :P Active cooling isn't strictly necessary for the Pi 2, but it'd definitely help to eke out a bit more performance. The Pi 3, I've heard, is a bit of a different story. Thankfully the case is compatible for Raspberry Pi 2 and Pi 3. And you are correct, I read some articles stating that the Pi 3 can reach as high as 80° C without heatsinks and a fan which this throttles it. Seems like the Pi 3 can reduce around 10° C. And I'm not sure how much a Pi 3 can overclock quite yet, but seems like around 1.3GHz with heatsinks and a case fan. Sorry for a late response on my end. Thank you so much for your lovely compliments and your support. I'm glad and feel honored you checked this out. I appreciate it and may you have a great week! finally you got a feature! Hey and thank you Camranatic! It was brief two weeks ago, but it was such an honor. Thanks for your support! I think i can finally build a PC now. Or should i say a PI? Awesome! I'm happy for you! At least it's a hardware that can be used as a lite/everyday use computer. I built a Pi computer in a hour. Need name suggestions? Here if you wanna check out. I might go with Kirby and color the case spray paint pink.. Thanks for the inspiration! No worries and that'll be awesome! I had to search online to find a particular case for my Pi 3. Depending which model case you'll need (Pi 1 B+, yes?). I'm not sure if they supply a large variety of cases that come with heatsinks plus a fan but here are a few I was able to find on Amazon. There are a lot of Pi cases these days, but have to make sure it will fit your particular model. Where did you get the screen for free? I had it for a while now, since last year. Orginally paid for $80 on amazon. I normally use it on a different computer or as a secondary monitor for my laptop. Haha, I wouldn't try Crysis with the Raspberry Pi. yes, but can it run minecraft? Yes...but can it run Minesweeper? how much storage does this computer have? 32GB which about 23.7GB remains. 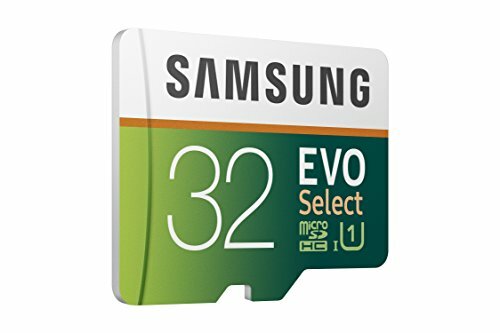 There is also 64GB, 128GB, and 256GB MicroSD cards if are in need of more capacity; however, the 128GB and 256GB can get pricey depending on the seller. It's safe to get a 32GB or 64GB microSD for the basic uses in desktop environment and even RetroPie. I see it boot and load the OS about 3-5 seconds. This is a pretty good computer. Can it run Windows 10? It is certainly a tiny powerful computer. Unfortunately, it will not run a full version of Windows 10. 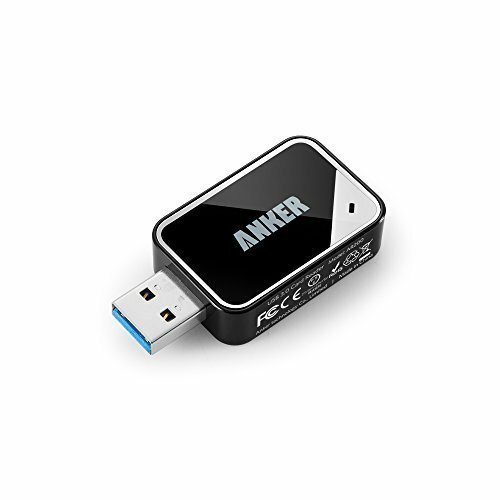 It can run a Windows 10 loT Core which is ideal for servers or temperature sensor. There are many possibilities to do with a Raspberry Pi, it just all depends on what your purpose is for your Pi. Realistically it's not Intel and AMD hardware, but it's a very fun project, it's easy to build and it is affordable. And sometimes troubleshooting comes along the way yet it's rewarding and worth it once you got it working. I did not realize a Pi could run an MATE desktop, albeit a customized one... Then again, I've only got an a original Model B, so I'm mostly stuck with stuff like Arch Linux ARM for maximum performance. It's got more RAM too, plus onboard Bluetooth and WiFi. 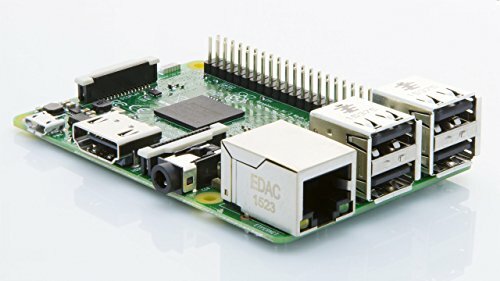 Is that Raspberry Pi 2's first version or their 1.2v? I'm assuming the first as you said earlier. It may only depend if you prefer something more CPU and RAM performance with some additional features which can expand more possibilities of what you intend to do with the Pi 3. I do admit its nice to have WiFi and Bluetooth along more USB ports. Though keep in mind the Pi 3 can get more warm then its predecessors which is why I wanted heatsinks and a fan. Since the power supply is 2.5A to power the Pi 3 without it crashing with the Power Supply 1.8A. Basically it really depends if you would like to expand to something more with different Operating Systems and many other projects is all I can say. is there any way to put this into gaming pc, yet cheapest way? A Raspberry Pi (1-3) in general will not be able to handle very well with PC gaming these days. It will handle games that aren't graphic demanding in 720p, like python games or some 1980-1990s video games and this isn't necessary all console games either. Some PS1 and N64 games may be OK and some games may not run too well with a Raspberry Pi 3. Something like this can get you started in the PC gaming spectrum in 1920 x 1080 resolution. This particular has three different type of video output connectors for the sake of variety from monitors (old and new) or at least the HDMI for a modern TV. It wouldn't be able to overclock the CPU but RAM can be overclocked which is good enough. If the BIOS isn't up to date though then you will have to contact AMD and request a "Boot Kit" which basically give a processor to temporary use, but the processor must be returned in 10 business days. Unless you are really that tight and it has to be close to $400 or below that price range then you could do a 1280 x 720 resolution PC gaming. Consider the option to purchase a used hard drive from Amazon. The risk is hoping it's not too bad in shape and the usage of storage is OK for data reading/transfer. The idea is if you don't plan on playing the latest games then you will be OK here and saves you an extra $80~$125 from the OS. Or it's a temporary solution for now until you save enough money to be able to purchase a Windows 10 64-bit. Then you could dual-boot these two OS or wipe out the partition and install only Windows. Keyboard, Mouse, Monitor/TV and WiFi weren't included. Rebates were avoided. You could also consider to see if you can find leftover parts such as a hard drive, case, peripherals, maybe a dedicated GPU but still would recommend a new PSU regardless unless you know the PSU is a decent quality and not close to 7-10 years old. I wish I had more solutions to keep the costs cheaper these days, but it's all I can think of for now. clean up your burrs bro. I was gonna do something like this but with and old laptop. Thank you again for your support. I truly appreciate it! Wow, sounds like he is that nervous. I understand about the S7 Note, but for the wood not sure what there is to deeply fear about. It may be hold more heat, but if you form it in a way where air can come in and out then you'd be all set. I don't think I known anyone either who does that charging their tech in a sink. Very interesting and thanks for explaining about it further.